so this is the last Saturn for this season.In the next few weeks, he is no longer very high above the southern horizon. Unfortunately, in Germany the weather was this year very changeable. There are seldom good observations possible, but on 06. 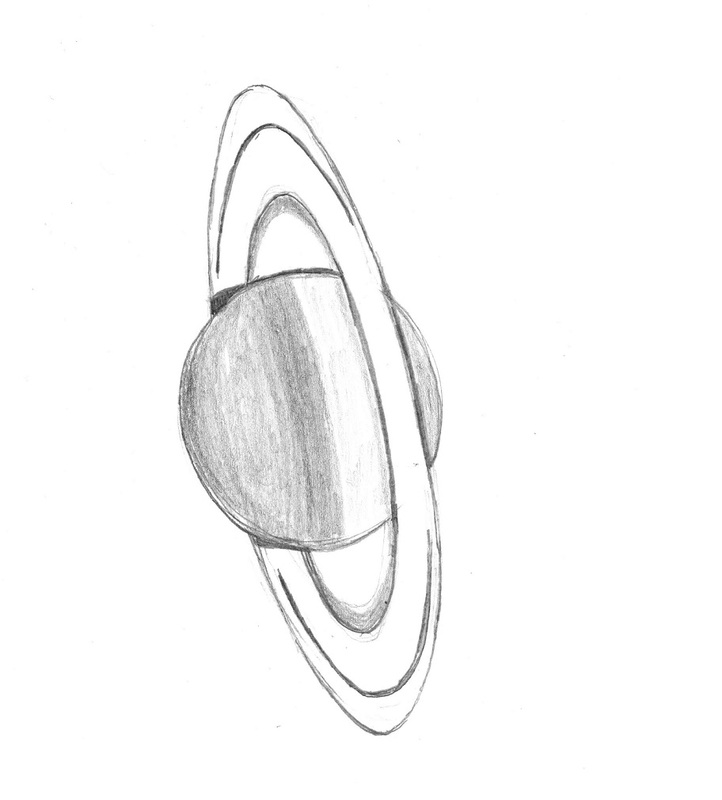 June 2013, the conditions were very good and I decided to sketch the beautiful ringed planet without a template. The Plant was 0.57 magnitude brightness and the diameter was 42,8″. After almost an hour I was happy with the result and I hope you like my second Saturn freehand drawing this year. The main difficulties are to bring the ring system faithfully to the paper.